I was just out in Vegas and saw with my own eyes the foundation for "High Roller" being laid. It's going to be a 550 foot tall observation tower that's located behind Imperial Palace Hotel just off the strip. 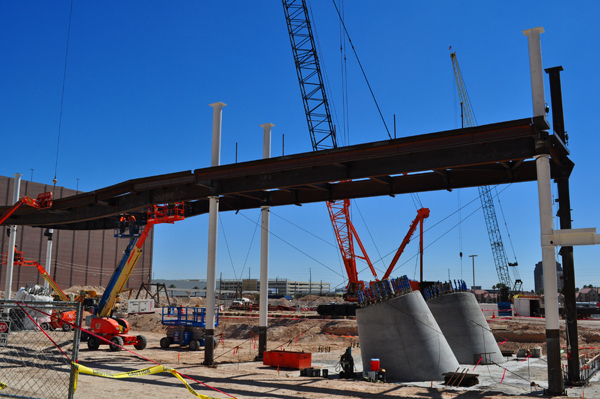 According to the news lines, it should be completed in late 2013 and will come with a $25 admission cost. Once on, you'll have a 30 min ride with killer views of Vegas and the mountains beyond.